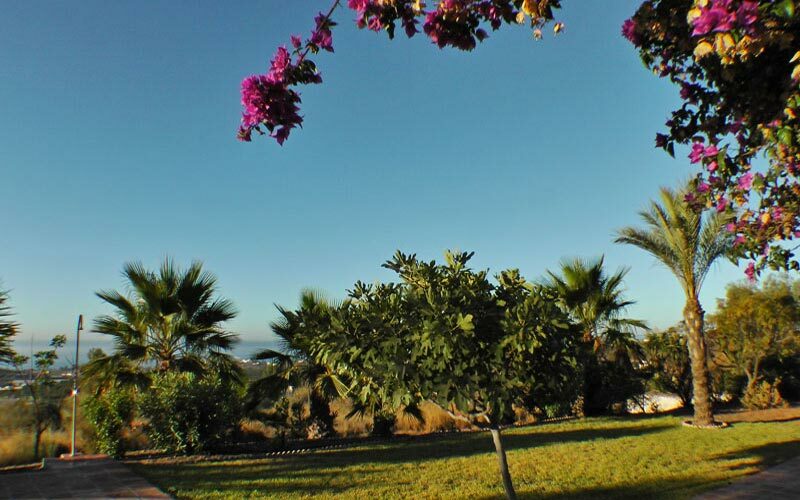 The Holiday Villa Jardin Bolero is built on a large nature plot near Almayate and Benajarafe with tropical gardens and fantastic panorama views over the blue Mediterranean Sea and the surrounding mountains. 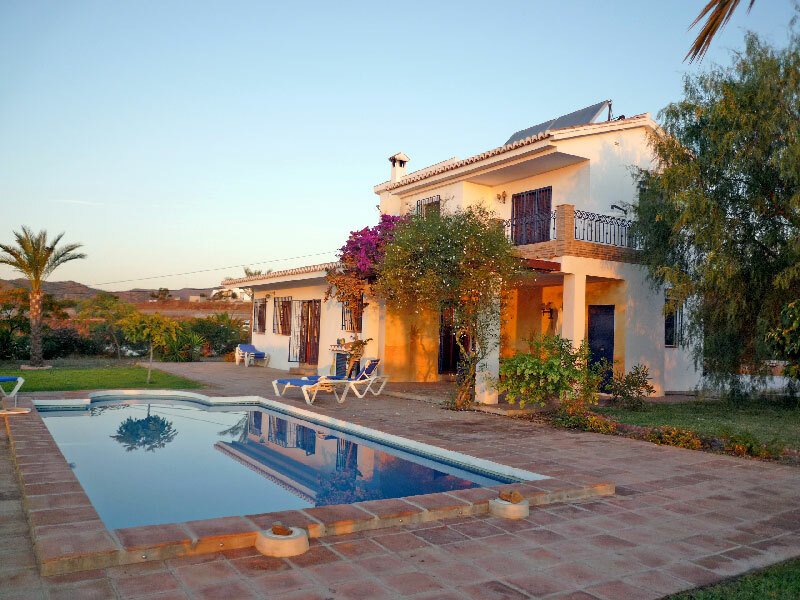 The environment is rural, with many avocado plantations and the beaches of the Costa del Sol are still everywhere freely accessible in this area. Nearby there is the small mountain village of Cajiz and the seaside town of Benajarafe. 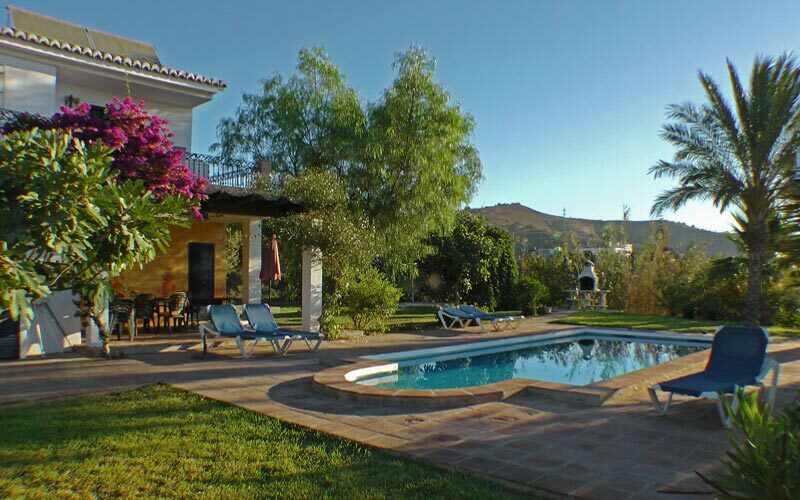 With good transport links, the holiday home is an ideal starting point for day trips to the Moorish heritage of Granada, Cordoba, Seville and Ronda. 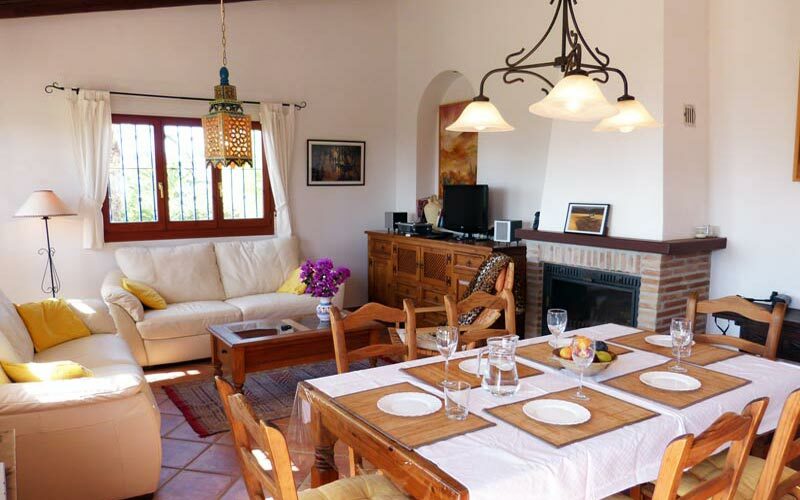 You reach the city centre of Malaga, in 20 minutes, Torre del Mar in 10 minutes. 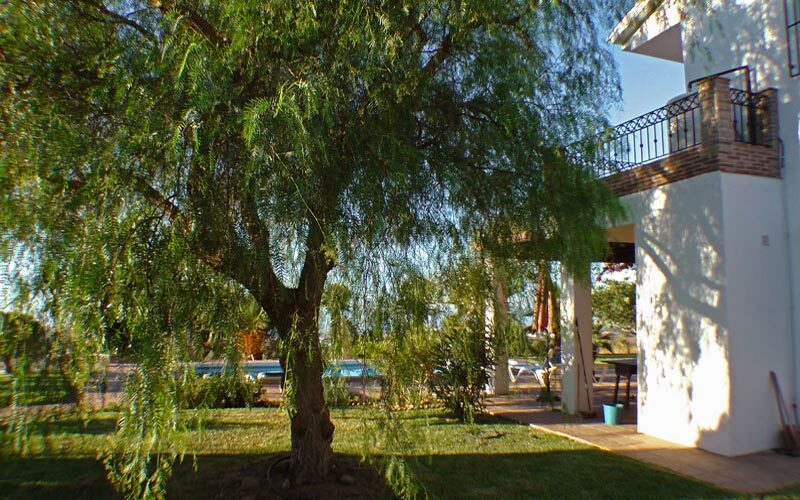 The special ambience of our holiday house Jardín Bolero is characterized by its spacious grounds. The 1 ha large nature plot has remained natural in the outer areas with wild herbs and yellow broom. The large terraces, landscaped around the House are spacious and surrounded lawns of old ingrown palms and other subtropical trees and plants in a park. 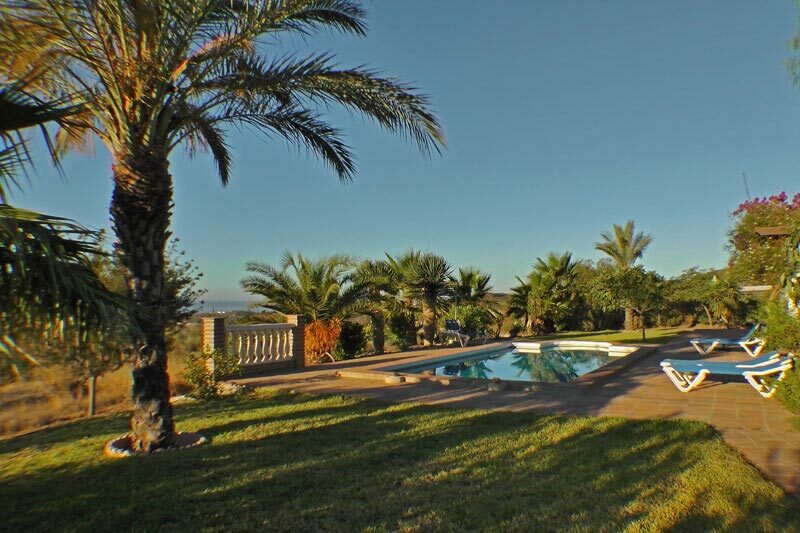 In this protected privacy can you enjoy nature from sunrise to sunset, watch the changing light over the Costa del Sol, sunbathe and swim in the pool. The covered patio can accommodate eight people. 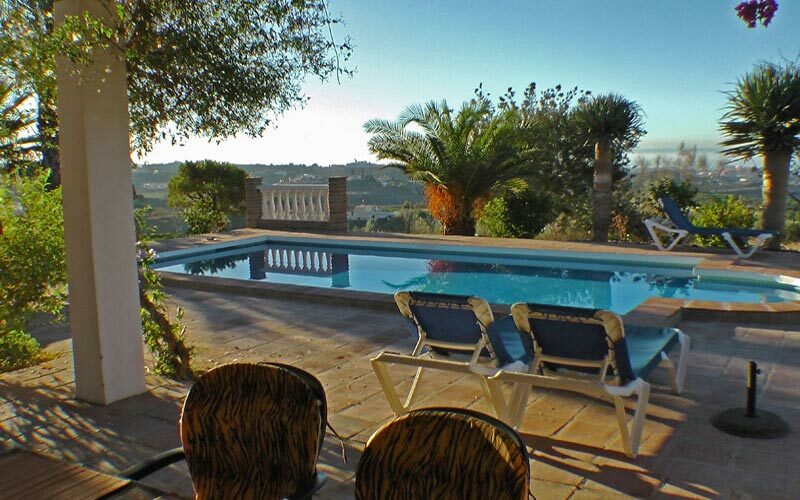 From here, you can watch over the pool and garden far down over the Mediterranean Sea. A large free car park is located in front of the holiday Villa. If you close the door behind you, you can start your vacation without getting disturbed. Satellite TV, sound system with CD player, Internet access via WIFI. A large fireplace ensures comfort during the cooler seasons. 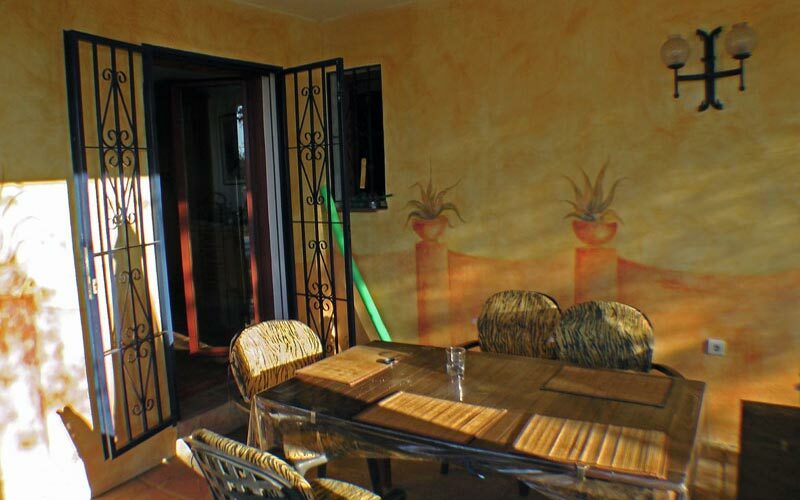 Located right next to the kitchen, the dining area with large dining table. 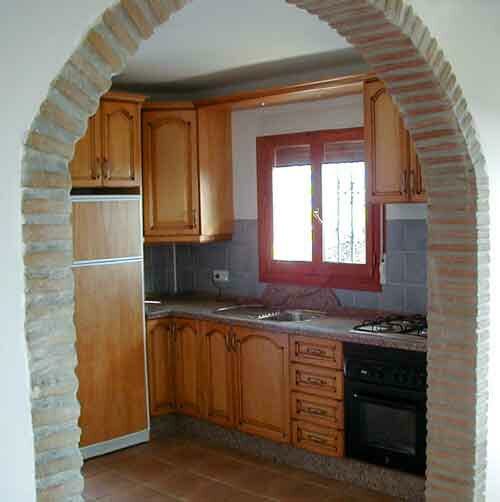 The kitchen, located to the South-East can be separated from the living / dining area by a large glazed arched door. From the kitchen you have direct access to the patio, where you can also wonderfully sit and dine through another glazed terrace door. 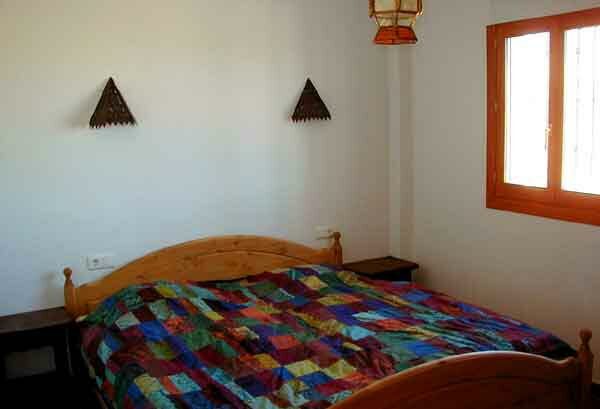 Both bedrooms on the ground floor are equipped with double bed (1.80 x 2.00 m) and built-in wardrobes. 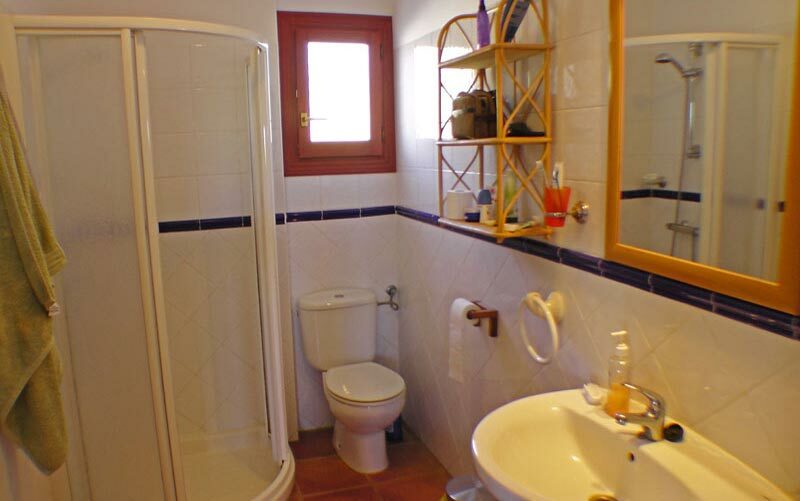 The 2nd bedroom is situated next to the bathroom with shower, washing machine. A hair dryer is located in the dresser. 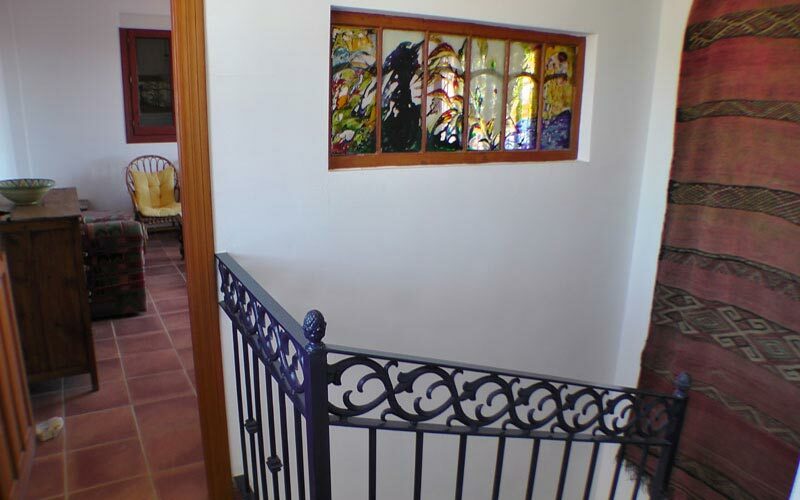 On the 1st floor, the separate living area is 55 square meters and has a separate entrance. 1 bedroom, 1 bathroom with shower/toilet, 1 kitchen, 1 living room with dining area, satellite TV is located here. 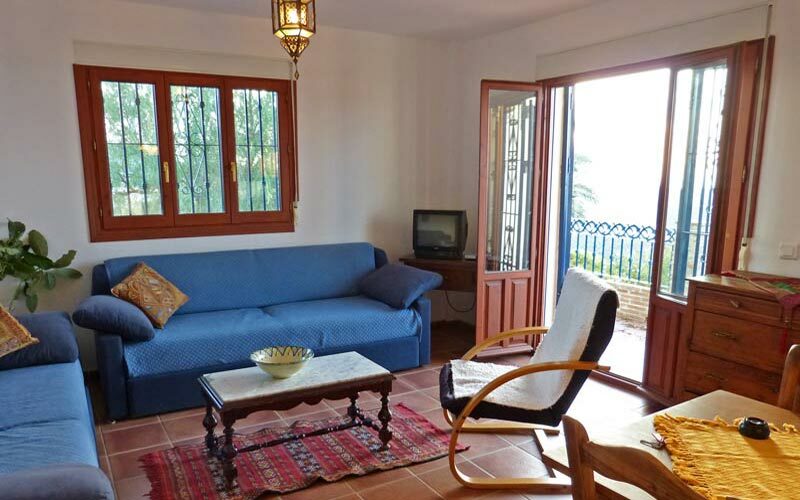 Also partly covered terrace with a wonderful panoramic view of the Costa del Sol. Space for 2-4 people (sofa bed in the living room). 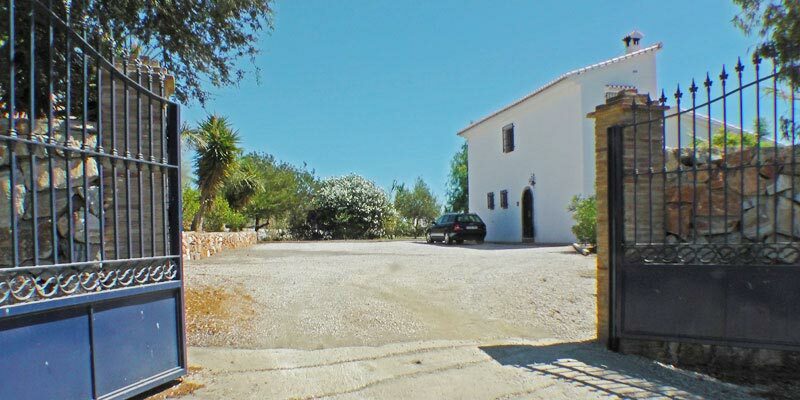 We also rent the apartment on the ground floor and on request if further required the apartment on the 1st floor along. No demand for the additional apartment, it is not rented to other guests. 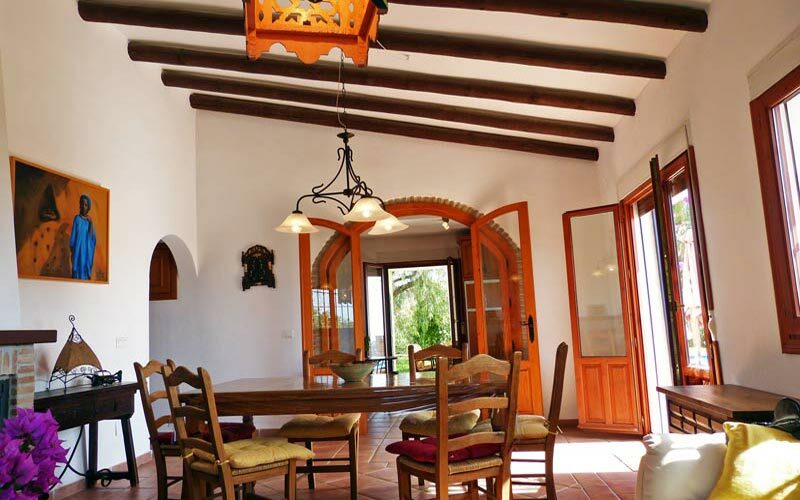 Unless otherwise agreed, prices are up to 4 persons only for the lower House and 5 or more for the whole House. 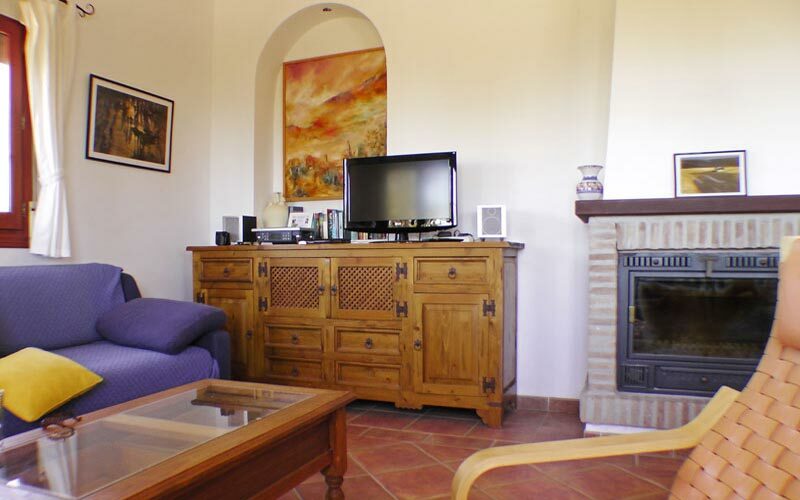 The rental prices include incidental costs (electricity, water, gas), 2 towels and linen per person and week. Final cleaning and Eletricity for air conditioning we charge extra. Prices can vary with the number of people. The exact price is displayed, if you specify your arrival and departure dates and the number of people below and click BOOK NOW. If you are interested, please fill out the form. We will tell you immediately if the house is available.